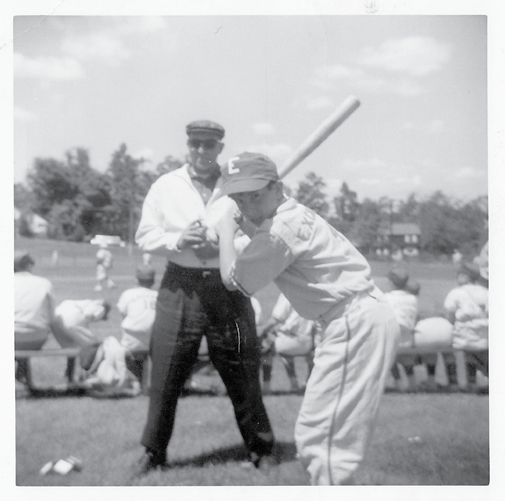 “I was involved in the West Hartford Youth Baseball program for more than 25 years, starting in 1951. West Hartford was the second community in the state to form a Little League Baseball program. (Middletown was first.) The program was introduced by William T. Davies, Director of Parks and Recreation. He had attended a meeting of the National Recreation Association, where he met Carl Stotz, the founder of the program. Several service clubs had indicated to Mr. Davies that they would be interested in sponsoring youth programs. He contacted the Lions, Exchange, Kiwanis and Civitan Clubs. Jack Carey of the Lions Club was elected first president of the program in 1947, with the four mentioned clubs. The National Organization of the Little League enacted rules on how a program should be organized: Relative population, number of playing fields, et al. The local Board of Directors was in disagreement with the rules. The board was not in agreement concerning the playoffs for the area champions. It came in the middle of the schedule, which meant the program would be put on hold while the eliminations were played. The Board also wanted a rule changed to assure that everyone on a team played in every game. The National did not approve.